These attractive Altar Candles act to enhance the presence of the Paschal Candle - a perfect decorative touch!. 51% Beeswax. Sold as pair. Made in the USA. Please order size with care. 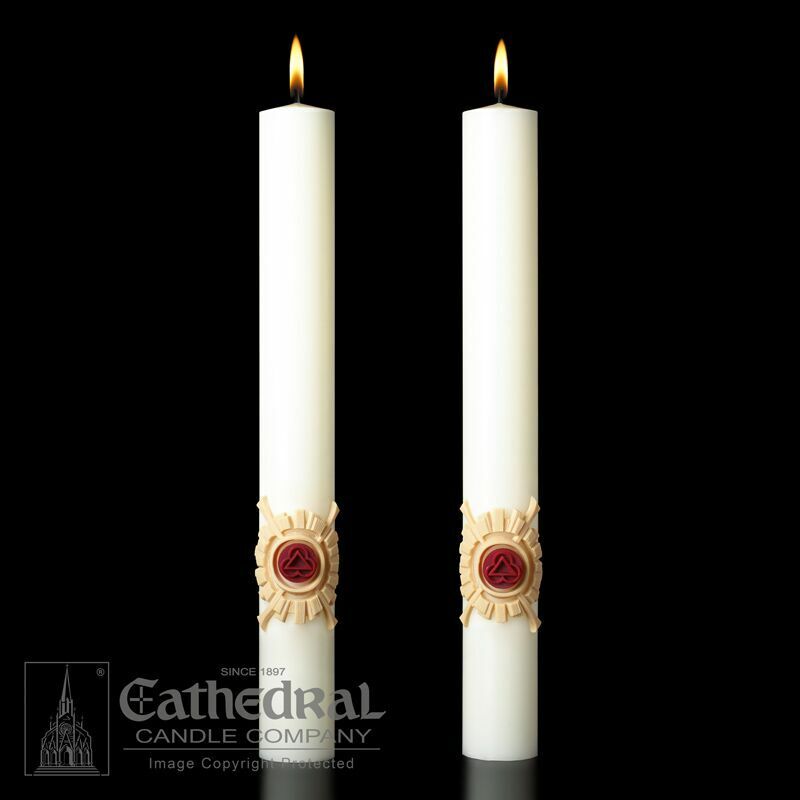 These Candles match the Holy Trinity Paschal Candle - 80502001.